There are 46 armours used across the MCU from the basic Mk1 to the Mk 46… actually, there’s a Mk 47 used in Spiderman: Homecoming. Hmmm…. Tony Stark utilises numerous armours across the MCU movies. Some feature prominently, some make an appearance, some referenced and some completely by-passed. 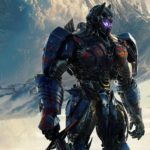 If you need an overview of the more prominent armours in the movie, check out this article on movie pilot. One of the more interesting and potentially more dynamic armours is the Mk 42. Controlled by implants in Tony’s arms, a feature alluded to in the Avengers Movie with the Mk 7 (remember, bracelets, Loki, “We have a Hulk,” Stark out the window, suit, Stark safe) the Mk 42 appears to have been Tony’s project since Avengers. This might explain the 35 suit jump in numbers. The suit features as the primary dress code for Iron Man in the 3rd film before its demise in the fight against Killian and his Extremis soldiers, but is still in a testing phase. This leads to malfunctions of the suit during the film, used both for comical and dramatic effect. However, I guess it did its job in the end using it’s various features. When The Mandarin (easily one of the worst characters in the MCU, but acted so damn brilliantly. So confused) attacks Stark’s home, 10880 Malibu Point, 90265, Tony is able to control the suit to protect Pepper first, and then come to his aid in the nick of time. Similarly, when Air Force One was under attack, Tony was able to remotely control the suit to attack the Extremis soldier (Chase from 24, extremis must have healed what Jack did to him) and then save the AF1 staff who fell from the plane. Before flying into the path of a truck. During the aforementioned fight on the plane, we got to see a full pelt Unibeam unleashed upon Savin (yup, IMDB’d that one) with devastating effect. It pretty much blasts a hole straight through the middle of him. Boom. The armour also features some of the more classic Iron Man weapons, the repulsors on the hands and guns and missiles, again most of which fail during the course of the movie, usually when they’re needed the most. The colour scheme on this armour is similar to the classic iron man gold and “hotrod red” but if you think it is still different, it’s because the colours are pretty much inversed. The red is also a little darker than normal and the gold a little paler. Tony has also gone back to the circular arc reactor rather than the triangular one featured in Iron Man 2. When discussing this on the latest podcast, a point raised was the fact the suit fitted Tony, Pepper and Aldrich. My argument for that was due to the independent designs of each section, they could stretch out slighty or shrink depending on the host. Did Tony plan on using it to fit others when he made it? Probably not. Is it a completely unreasonable theory? Probably not. Should I really worry about it this much? The armour is great in theory, and takes ideas from the comics like in the early 2000s where Stark’s armours (when not stored in his body through Extremis technology) became more modular and adaptable to upcoming situations. It also looks really cool, although I wish the classic colours had been used for design, as the variance in colours made it’s failings stand out more like it was a cheap copy. Overall, I quite liked the armour, and had to argue it’s advantages with @thebuffgeekpodcast on episode 115. I think it’ll be a lot further into the MCU review series before I get to discuss my favourite one. What did you think of The Mark 42? What’s your favourite?